Becket is a great film. Maybe the great film. It has the added advantage of being true. 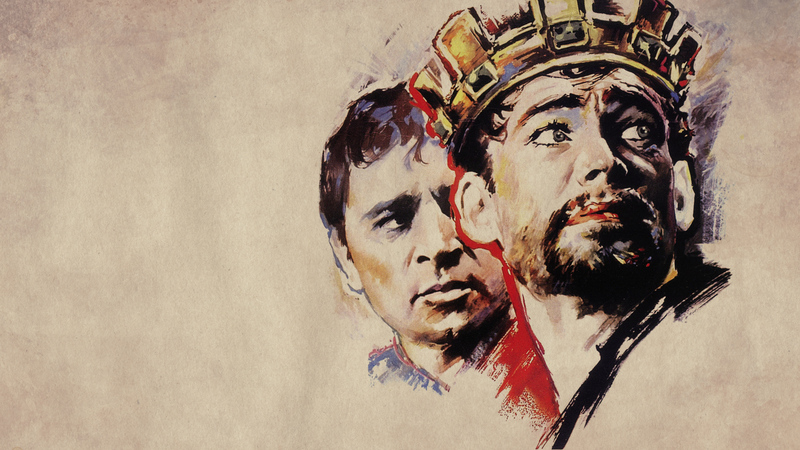 It’s a film that tells the story of Thomas Becket. He was born sometime in the early 12th century, in all likelihood on the 21st of December on the day of his namesake, Thomas the Apostle (Doubting Thomas). Like many of us, he had a messy story. He hung around with elites as a kid but was the son of someone caught between the clear (and perhaps cruel) line between nobility and commoner. History tells us his father was perhaps a knight or modest landowner. But I repeat myself. One of Becket’s father’s friends, Richard de L’Aigle, liked to invite Becket to his estates to hunt, hawk, and, I assume, talk. Later Becket found himself on an educational fast track. But he liked wine, women, and song much more. He actually wound up being the favorite drinking and whoring partner of King Henry II, before Henry ascended to the throne. When Henry became king he was faced by what he perceived to be a meddling group of bishops. The bishops made his life a royal pain, and at his wit’s end he came up with a solution…make Becket the Archbishop of Canterbury. Why not make your partner in crime your co-conspirator? Needless to say being king makes the crafting of an Archbishop easy even in contentious circumstances. Becket is reluctant at first, but acquiesces. Yet there’s something he doesn’t bank on. The ceremony converts Becket. A man who wasn’t yet ordained to the priesthood became a Christian and the head of the church. See the film if you haven’t but, SPOILER ALERT…. Becket becomes, by grace, a witness to Jesus. The office makes him realize the gravity of his sin and the grandeur of God’s grace. He continues to love his friend Henry tenaciously. When Becket’s gracious tenacity became too much, Henry has his friend killed. He was, according to some accounts, so filled with regret and remorse that he had himself exposed to public penance at the hand of monks, embarrassing to anyone, especially a monarch. That was some seven centuries ago. We have since fought multiple wars with the mother country of Becket and Henry. And we’ve become friends. We have fought, worked, and prayed together. So much so that a country whose birth story had at its center anti-elitism still tunes in for broadcasts of royal weddings. That story wouldn’t have been possible without the story of Henry II and Thomas Becket. The Gospel is a story of God friending us again and again, despite our constant unfriending of God. Whenever we’re swept into some special moment in the story, it’s never because God called one of the qualified. Quite the contrary, it’s the gracious call that qualifies, morning by morning, with visible and invisible mercies. I love this. For our first Christmas together, I bought my husband a DVD copy of Becket. It wasn’t available through the usual channels (amazon, Best Buy), so I did what anybody who’s young and in love does: I bought it on eBay. Except it was a pirated copy from Thailand. Right word at the right time.